The last evening of the special Chabrol’s week with a 52 mins documentary about Chabrol’s life followed by a ’Buffet campagnard’. 52 minutes will be just enough to celebrate the master of cinema and to discover what Chabrol was chasing. Please note that contrary to what has initially been announced, the film is in French with NO SUBTITLES. We apology for the inconvenience. 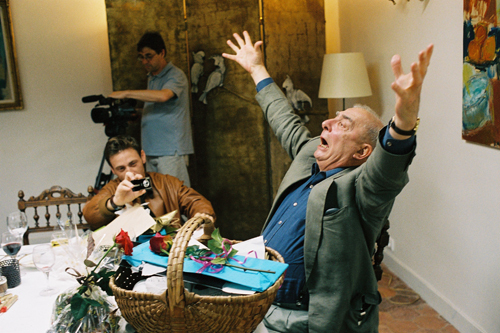 As depicted in Bourbeillon’s documentary, Chabrol was a Bon Vivant, a real lover of crowded dinner tables, never ending meals and excellent food. We pay a tribute to his hedonism and celebrate the end of the retrospective week with a ’buffet campagnard’ - delicious French countryside finger food and wine, following the screening. Places are limited and tickets must be booked in advance by phone (0131 225 5366) or in person at the Institute.